Anne Hathaway arriving at the Radio 1 wearing Stella McCartney croc pumps. I love the fact that it’s faux croc with a rubber platform that is easy on your foot. 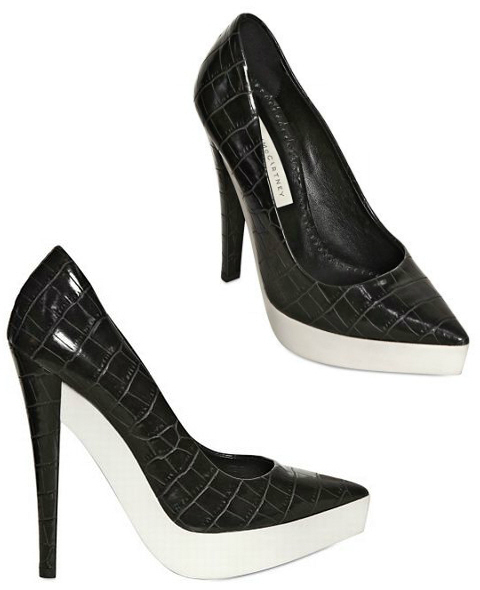 So if you are looking for a pair of croc pumps or any classy pumps to enjoy both at work and evenings out, these will meet more than your expectations.